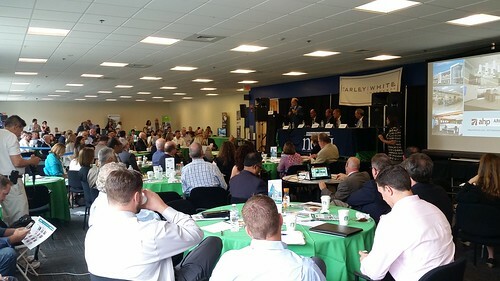 This past Wednesday I attended a Middlesex 3 Coalition conference called “Real Estate 2020: Building for the Future.” Middlesex 3 is a coalition of government and private sector stake holders located in nine towns located along Route 3. These communities are, from north to south, Tyngsborough, Westford, Chelmsford, Lowell, Tewksbury, Billerica, Bedford, Burlington and Lexington. 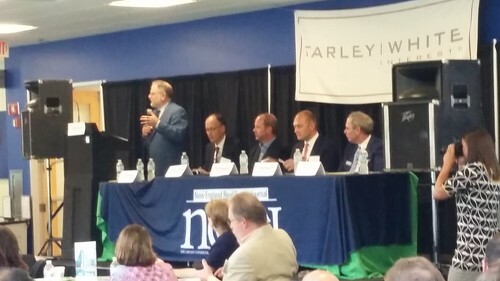 Speakers at Wednesday’s event included Secretary of Housing and Urban Development Jay Ash, UMass Lowell’s Steve Tello, Gary Campbell of Gilbert Campbell Real Estate, John Power of Farley White, representatives from companies like iRobot and E Ink, and lawyers, financiers, and architects. For more than I decade, I’ve been writing about the New Urbanism and how that can benefit Lowell. By New Urbanism, I mean a societal trend back to cities from suburbs. The rising workers of today are marrying later in life, having children later in life, putting off home ownership until later in life, and seek a better “live, work, play” balance than their generational predecessors. Many of those young people are drawn to cities to find what they are looking for. Consequently, businesses are following these workers and are also moving back to cities from the suburbs. The challenge for Lowell is how to take advantage of that trend. Much of the city’s planning since at least 2000 has embraced New Urbanism with the master plan for the Hamilton Canal District and the city’s own master plan being prime examples. But Lowell has never fully embraced the elements of New Urbanism. I’ve often described it as a struggle between those who embrace Lowell’s urbanism and those who would prefer Lowell to be more suburban. This conflict plays out in countless ways, from bike paths to housing. I found a fascinating discussion of this conflict on this website back in 2012, “Lowell and the New Urbanism” which I urge everyone to read. Fast forward to Wednesday and the discussion of what to do with the many older suburban office parks that line Route 3. The answer, it seems, is for the suburbs to take the most desirable elements of New Urbanism and add them to these existing office parks . In a practical way, this makes sense for a big suburban office facility. If the town only has a handful of restaurants, having 500 employees race to their cars at lunchtime to make it to one of the few local food establishments might overwhelm the establishment and the surrounding road infrastructure. But the idea of “not leaving the building all day long” undercuts the New Urbanism which posits that a mixture of commercial, retail and residential will work best – that a big office building in the city will provide lots of customers for restaurants and retailers who locate in the vicinity of the big office building. If those office workers never leave their building except to drive home at the end of the day, those surrounding businesses will fail. The same day I attended this Middlesex 3 conference, the New York Times reported that the city of San Francisco is contemplating a ban on employee cafeterias in new corporate construction. The reason? Employees of companies that offer free or subsidized food onsite don’t support the restaurant and retail scene that cities expected to emerge around these new high tech sector buildings. And before anyone can reply, “the company should be free to do what it wants,” remember that those companies have been enticed to locate where they are by big tax breaks from the city, with the city’s rational being that the ancillary economic benefits of having the company there would offset the lost tax revenue. It’s supposed to be a two-way street, not all one-way in favor of the company. Just a few days later, the Boston Globe had a front page story on this same topic, “Developers are trying to make the suburbs cool.” and the Lowell Sun had coverage of the Middlesex 3 conference. 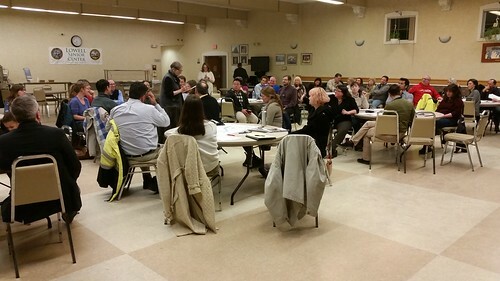 Development in Lowell, especially commercial development, will be a continuous challenge. There are good plans in place but they always require modification to adapt to evolving circumstances. This New Suburbanism trend certainly presents a challenge to some of Lowell’s plans, particularly for the Hamilton Canal District. A couple of positives for the city that did come out of the conference was the dominant role that UMass Lowell, particularly the school’s Innovation Hub in the Hamilton Canal District, plays in the economic development of this region. Speaker after speaker praised the economic spin-off benefits of the University. After skipping last weekend because of Lowell Folk Festival, Lowell Walks took a rare summertime weekend off and had no walk yesterday. (Given the ominous skies at 10am yesterday, that might have been fortuitous). 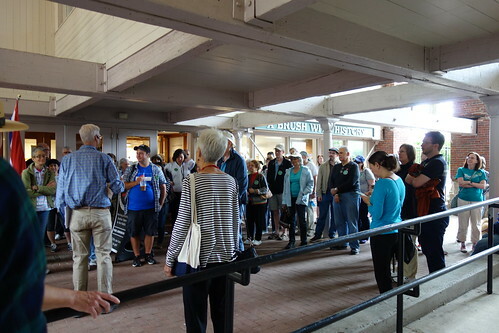 Lowell Walks resumes next Saturday, August 11, 2018, at 10am from the Lowell National Park Visitor Center with a “Downtown Art Galleries” walk led by Liz Stewart of COOL. The walk will visit The Brush Art Gallery and Studios, the Arts League of Lowell, the Whistler House, the New England Quilt Museum, Ayer Lofts Art Gallery, UnchARTed, Gallery Z, and others. As always, the tour is free and takes about 90 minutes. The third Lowell Open Space and Recreation Plan public meeting will be hosted by the Department of Planning and Development on Monday, August 13, 2018, from 6pm to 8pm at the Lowell Senior Center, 276 Broadway. This is a great opportunity for members of the public to provide input into the city’s planning for open space and recreational uses for the years to come. My re-election campaign continues! I will be on the Democratic Primary ballot on September 4, 2018, but since my opponent is unenrolled (not a member of either party), the decisive vote will come in the state election on November 6, 2018. But it’s important to vote in both elections. 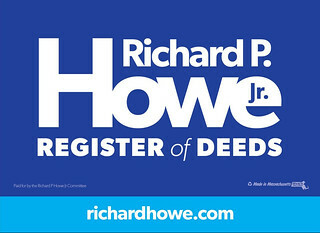 We just ordered more lawn signs and have plenty on hand. If you’d like one, just submit an online request. Also, if you’d like to help pay for those signs and everything else – campaigns are expensive – donations in any amount are always welcome. Most importantly, I ask for your vote in the upcoming elections. When Lowell felt threatened by the suburbs after WWII it tried to be more like the suburbs and failed. It introduced parking regulations, building setbacks, demolished urban neighborhoods, and widened streets. Besides ruining a way of life for many people it made it easier to move OUT of Lowell. Whoops! Now the suburbs are realizing they can’t compete with cities like Boston, Cambridge, and Somerville that embrace their urbanism so they are trying be more urban. This too will fail. Don’t get me wrong they’ll have some success like Belvidere has held strong over the years but building little company towns in the suburbs will hurt local suburban businesses and people will always prefer authentic urbanism over company sponsored urbanism. Lowell has authentic urbanism but it’s disjointed because we can’t let go of suburban regulations and infrastructure “improvements” that 1950-1960’s experts told us would help us compete with the suburbs. 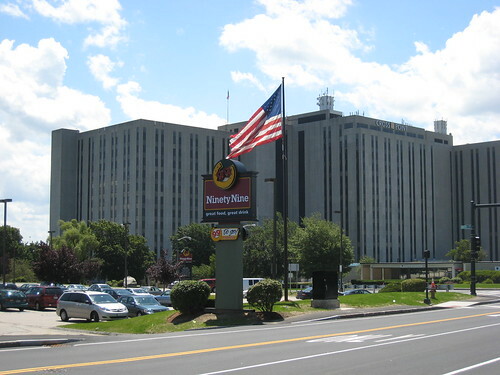 Parking regulations, building setbacks, and street widenings are suburban by nature and effectively prohibit Lowell from becoming the next city on the list that keeps the Middlesex 3 people up at night.